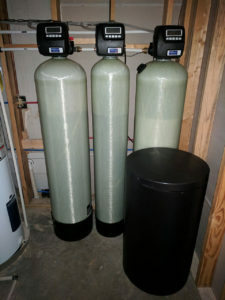 The customer was concerned about the low pH from a previous water test. They decided to take care of everything at one time. We installed our American Made neutralizer to raise the pH, a water softener to remove any hardness and a carbon filter to purify the water to make it taste great. We have the best in products and service in the Asheville area!